Species Pelargonium stenopetalum, or is it Pelargonium burtoniae? 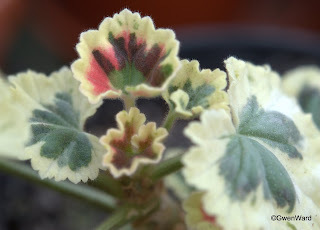 I bought this plant about four years ago with the name Pelargonium burtoniae. It was not in flower, and I bought it because I did not have this plant in my collection and not heard of it. When I checked in Diana Miller's Guide to Species I found that P. burtoniae was described and named in 1927 from a plant found by a Mrs Burton in a garden in eastern Cape Province. However, it is identical to the plant grown in Europe as P. stenopetalum for 200 years. I changed the label to P. stenopetalum. 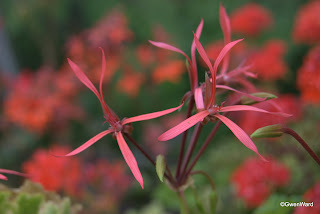 The flowers of P. stenopetalum are quite distinct as you can see from my photographs. 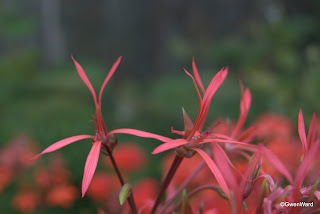 They are a very bright pink, with very thin spidery petals and are easily spotted in the greenhouse. 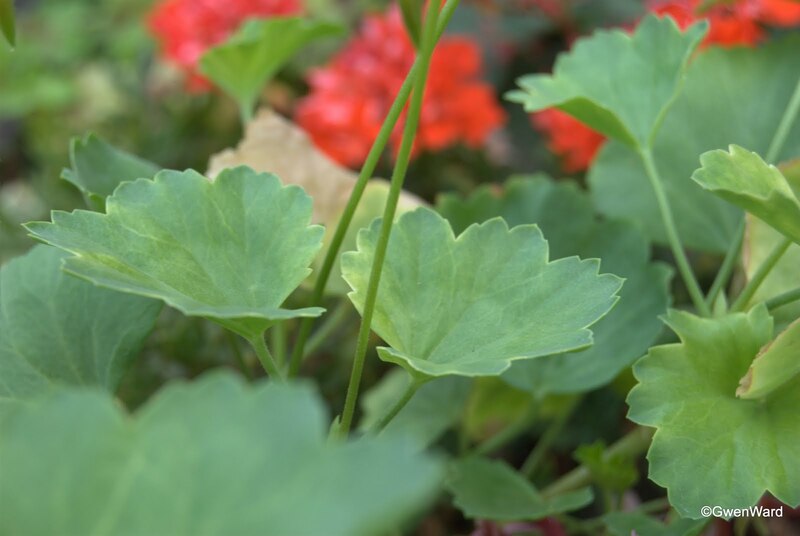 The leaves are waxy, pale green with a very faint zone. 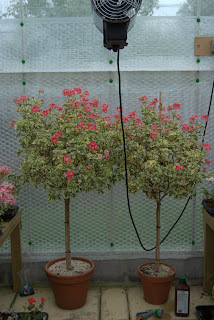 It is easy to take cuttings of P. stenopetalum and I treat it as a normal zonal, except I grow it in a John Innes No. 2 compost with added grit for extra drainage. It does tend to sprawl a bit. 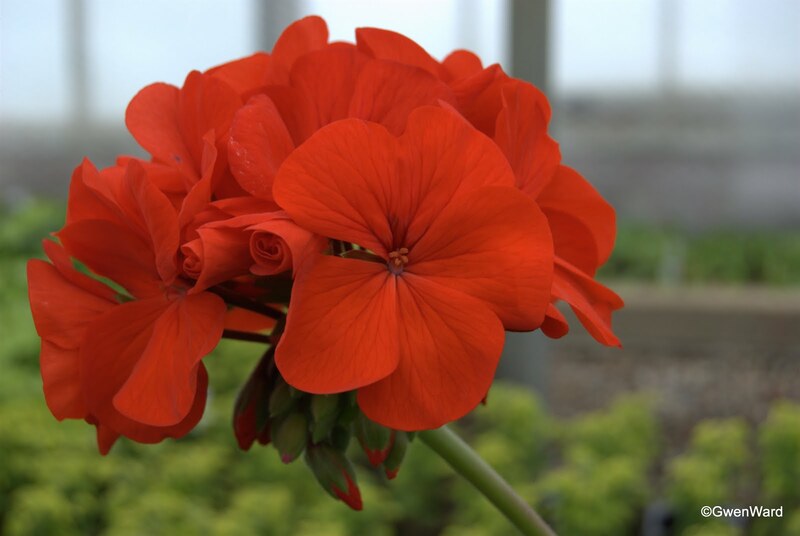 Newly introduced this year, Rushmoor Golden Ruffles, hybridised by Steve Pollard, is a really stunning pelargonium. 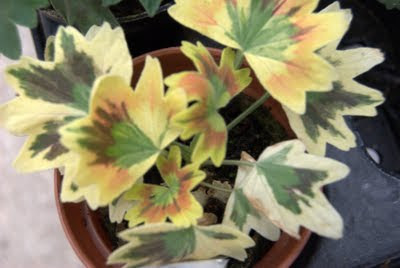 It is a dwarf Stellar Pelargonium with gold leaves that have a light bronze zone. 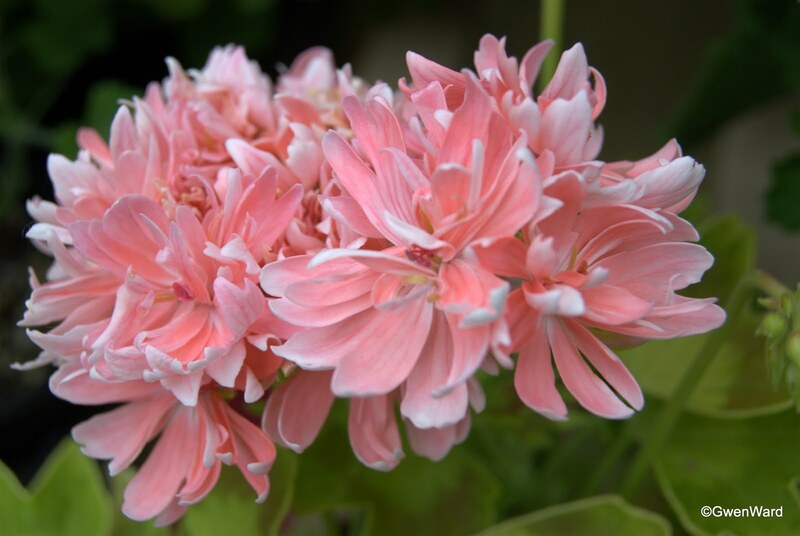 The double flowers are a beautiful shade of pink with a white tip to the ends of the petals, giving it a shimmering glow. Rushmoor Golden Ruffles is short jointed and very floriferous and will make a stunning show plant. 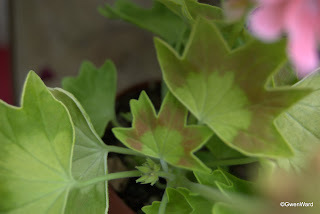 You might remember I have written in the past about the seedlings cousin Sue found in her pots of pelargoniums when we tidied them up last September. She potted several of them up and grew them on over the winter. 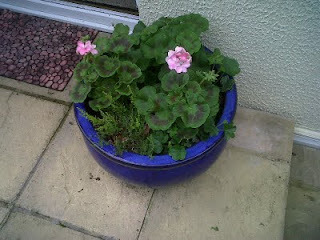 They are very health looking plants and now they have 'left home'. Sue very kindly gave me one. Mine has yet to flower, but Sue's has flowered planted out on her front doorstep. 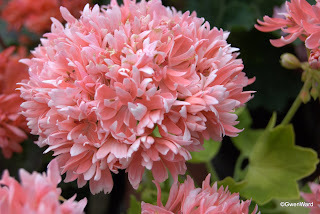 It looks a lovely shade of pink and I think mine will be the same as I can see a little bit of colour showing on the buds. Unique Phyllis - and a visit to a wonderful nursery. One of the most attractive pelargoniums, I think, is "Phyllis", an Unique pelargonium. 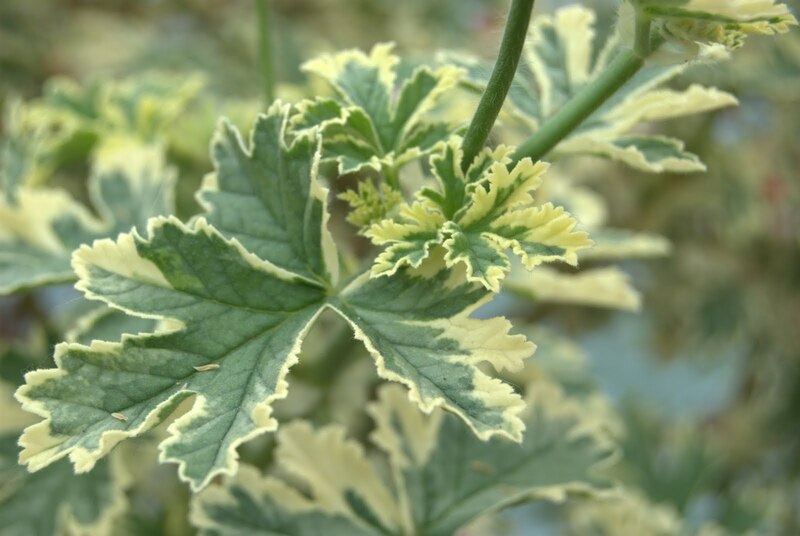 She certainly is unique because I don't think there is another variegated Unique pelargonium, although I stand to be corrected on this - I just haven't come across another one. 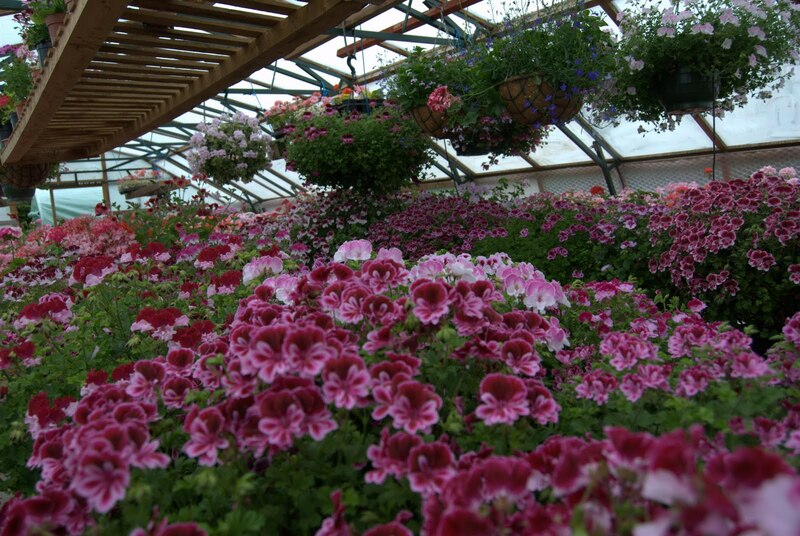 "Phyllis" is a sport of the old variety, "Paton's Unique", and introduced by Hopley Nursery. 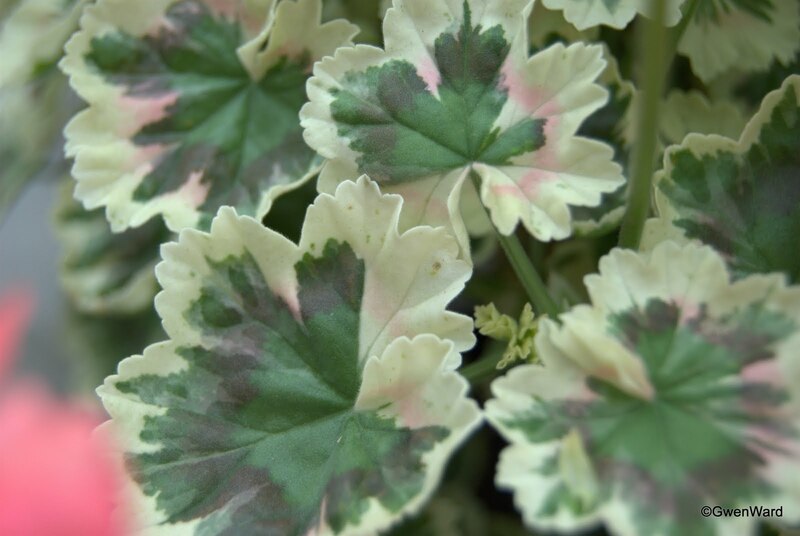 The stuning bright pink flowers with white 'eye' and feathering on the upper petals look fabulous against the green leaves edged in cream. Leaves of the Unique Pelargonium "Phyllis"
Gosbrook Pelargoniums is a family run pelargonium nursery selling plants by Mail Order only based at Shrivenham, Oxfordhsire, but fairly close to Swindon. Popular the world over, Regal Pelargonium "Georgia Peach" is a real 'peach' of a Regal Pelargonium. 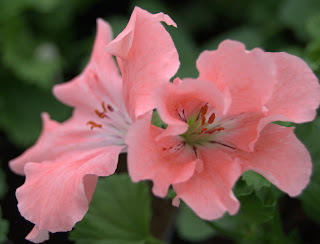 The flowers have a slightly frilled edge and are the most gorgeous shade of peach with a paler throat. 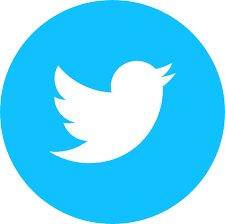 Introduced by William Schmidt of California in 1968. 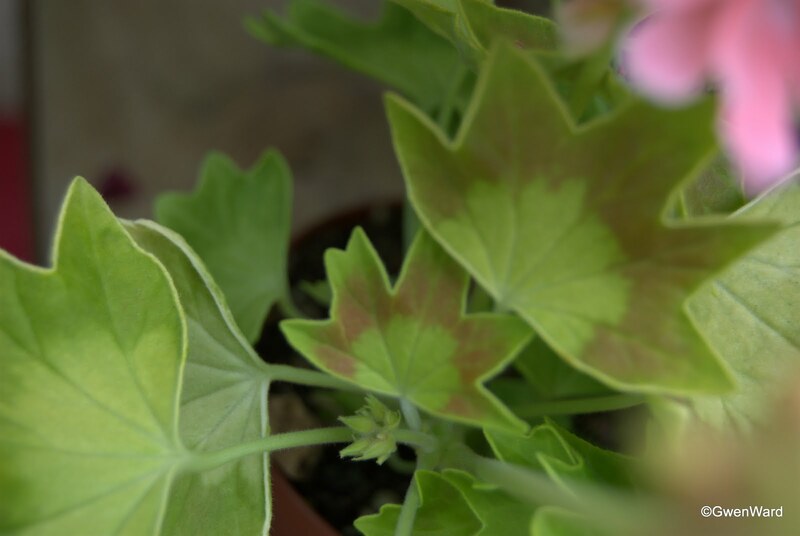 A good show plant, but apparently not easy. Brian and I had a couple of days away in Bournemouth again last week. The reason for our second visit was because I wanted to visit Knoll Gardens and Nursery, just outside of Bournemouth. 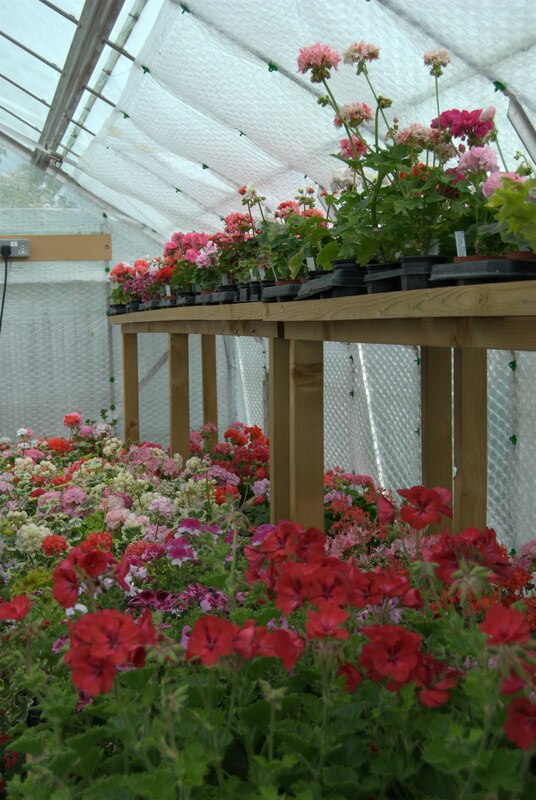 Our previous visit had been at a weekend, and Knoll Gardens and nursery is not open at weekends. We visited on Tuesday morning before the drive home. 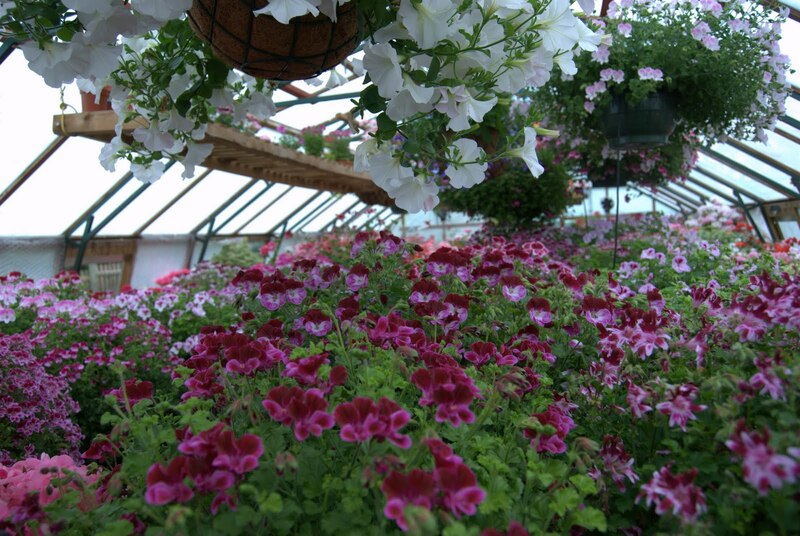 I have to admit that I was a tad disappointed in the gardens, and both gardens and nursery were much smaller than I imagined. The garden had a slightly unkempt look about it, particularly the pond area, but as we visited in Chelsea week and Knoll Gardens had just been awarded their tenth Gold Medal, the gardens were probably not a priority.